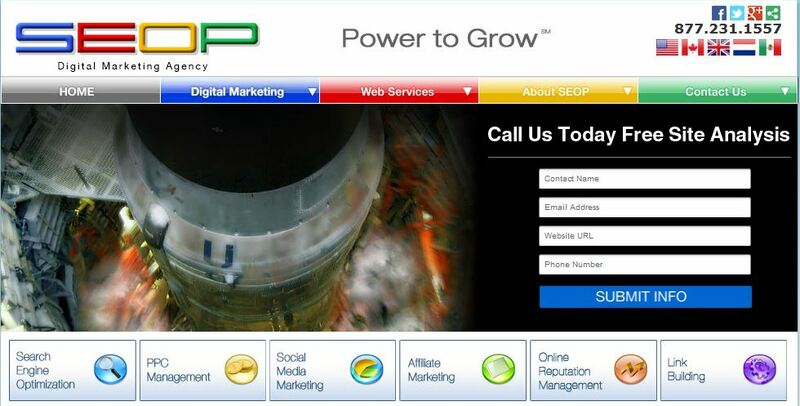 SEOP is one of the world’s leading digital marketing and SEO organizations. Founded in 2000 in Santa Ana, California, the company offers a sophisticated suite of advanced strategic services, which includes PPC management, mobile marketing, social media marketing, and reputation management. They have provided their solutions to more than 500 small, mid-sized, and large businesses, and enterprise clients. The company boasts of a 96% client retention rate. SEOP works with some of the most successful and fastest-growing companies in the world, offering everything from digital marketing, world-class SEO, paid search advertising, to social media marketing. The company offers everything clients need to fully leverage the Internet and help businesses reach their maximum potential. The company prides itself in using an open book approach on its services; they do their work based on honesty, integrity, and a straightforward expertise that aims to give clients the help they need. SEOP has some of the top SEO and marketing experts in the world, each with more than a decade of experience in all aspects of SEO and digital marketing. The firm’s thought leadership and impressive track record in the services they provide helped SEOP become one of the largest and most trusted SEO-centric search engine marketing companies worldwide.